As many of you might know by now, the food blogging world lost a dear dear friend way too early. (See my past post about her passing). To honor her, her love, her friendships, her mentoring, and most of all her memory, a group of friends who all knew Elle have formed an #ElleAPalooza. (There is also an auction to help raise funds for her family. Elle leaves behind a wonderful husband, and four children. If you can, please help donate to the fund. You can only imagine, in this economy, how hard things are for her husband now--so please donate, give what you can--any amount is welcome). If you're interested in joining the celebration of Elle and the #ElleAPalooza, please visit the Facebook page: Friends of Elle. I personally never met Elle, but we became fairly close online via facebook and our food blogs. In fact, Elle was one of the first people to leave a comment on my blog back in 2008 when I first started blogging. Funny as my first few posts had horrid food photos and the cheesiest words to accompany those photos. So cheesy I swear....I like to think I've gotten better as I've aged? Darling Elle saw past the cheesy words and always loved the recipes. She would always tell me how creative I was, and when in the world was my first cookbook coming out? As the years passed, she, the football Patriot loving friend, soon became someone I loved to share my morning espresso with on Facebook while I was supposed to be writing and working. Oh it was easy to giggle and pass the morning by with her; she had a great sense of humor. And always, and I do mean always, was very supportive of any new venture I took or any other food bloggers she knew. Someone asked me what one thing, one true memory of Elle that stood out ? Oh that's so easy to answer: she was so SUPPORTIVE. Supportive to even people she casually knew in the food blogging world; she would encourage, encourage, encourage! I like to call her the cheerleader of the food blogging world--she was always coaching people on, always sharing cooking contest links to me, pushing me on to enter--even if she was entering to. She was not selfish at all. Such a kind, gentle soul...you are so missed my dear. For the #ElleAPalooza, I choose Elle's flourless peanut cookies, which are made with toffee and chocolate, but since Elle knew me so well, she knows that pretty much everything I do I have to put my own spin on it. Since I love cinnamon with my peanut butter in the mornings, I decided to add cinnamon chips. 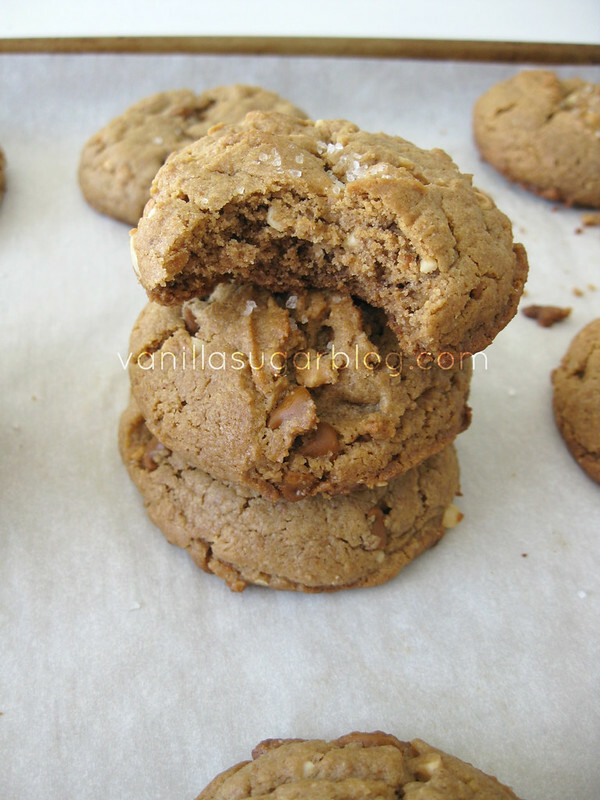 Those cinnamons chips went so well with the rich peanut butter flavor of the cookies. Oh and a little sea salt on top never hurts either. This is quite possibly one of the better peanut butter cookie recipes I've come across--it's very rich, deep peanut butter flavor....almost like a really good slice of chocolate cake that leaves you so thirsty. This is that, but in a cookie. Very satisfying, and no flour used. Of course, one bowl easy too. 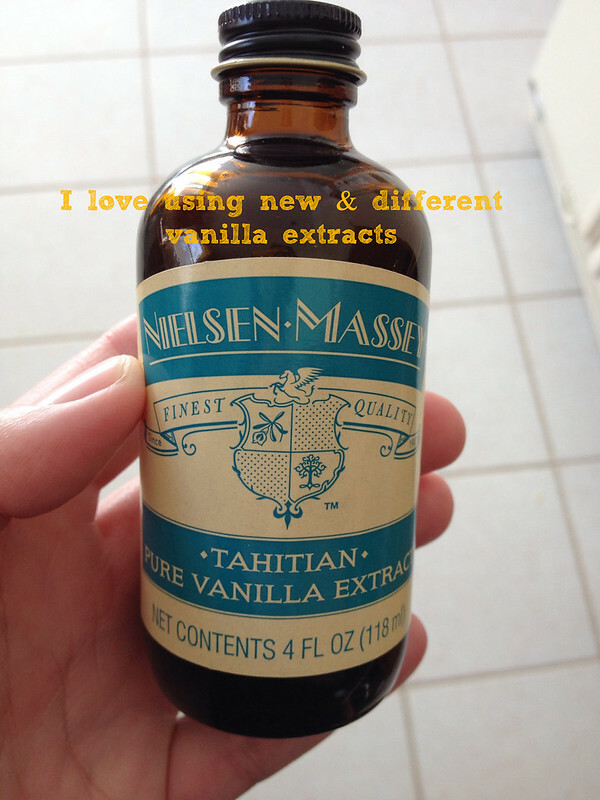 I think what also made these smell and taste so good was the new bottle of tahitian vanilla I bought as a splurge item. Just a little something-something added in the background of the cookie. I know that the tahitian beans are one of the more fragrant ones, and I can attest to this as the smell these cookies made in the house while baking was strong--almost tropical. Okay tropical mixed with peanut butter, really nice smell. Don't be tempted to flatten these--they won't be as puffy or tender when baked. Just a little push down--barely. If you try and take these off the sheet right after baking they will break apart. Let them cool at least 20 minutes or longer. Can't tell you how tasty these truly are...I'm certain Ms. Elle was with me when I created these. In a large mixing bowl, add in all the ingredients except for the cinnamon chips. Cover bowl well, and put in fridge for at least 15 minutes. 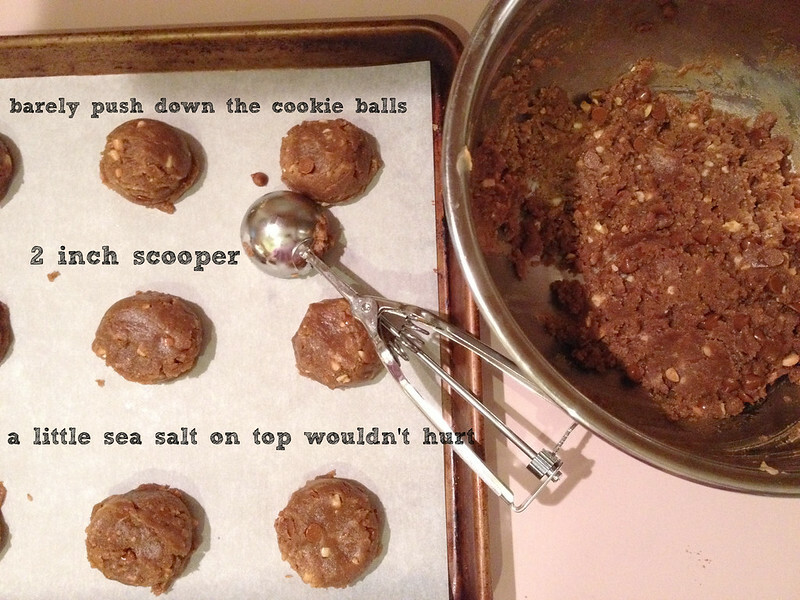 OR using a 2-inch cookie scoop out cookies onto parchment lined cookie sheets, barely pressing down on the dough balls, then set them into fridge to firm up before baking. (I did the latter). 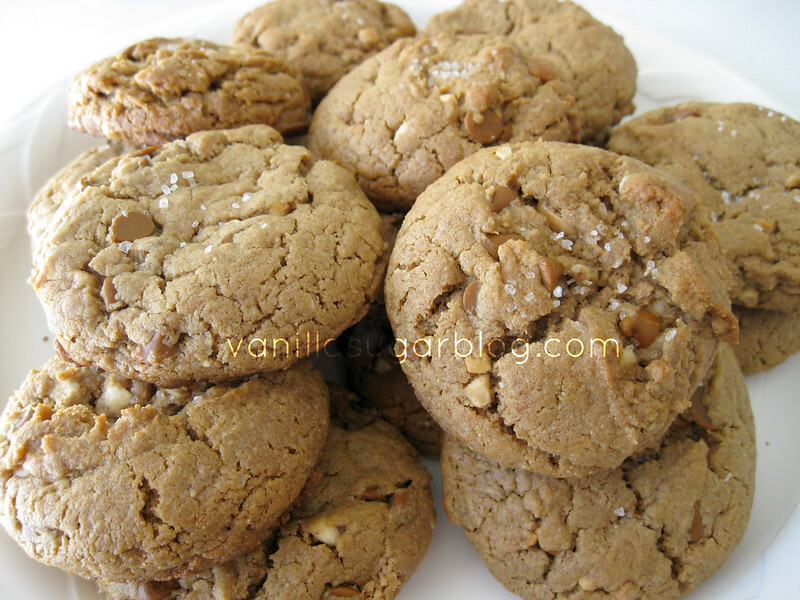 Put a little sea salt on the tops of the cookies before baking, optional but wonderful. The cookies won’t spread much during baking, but they do rise up a bit. Bake cookies for 13-16 minutes. I looked for almost-crisp, light golden brown edges. After you remove from oven, let them sit on the hot cookie sheet for at least 15-20 minutes or longer if you can. If you try and take them off the sheet right out of the oven they will break apart; very delicate after baking. They don’t keep too fresh that long, maybe 3 days at best? Labels: Cookies, elleapalooza, gluten free, gluten free cookies, misc. I didn't know her very well, but I really enjoyed the few talks I did have with her and also the recipes of hers that I made. Was very sad when I heard about her passing, could not believe it. This is a great thing you all did together in her honor. a beautiful description - she was so incredibly generous and supportive. she would have loved these cookies. Beautiful tribute and recipe for Elle. Supportive is a perfect word to describe her. If you ever needed that extra lift to get you on your way Elle was there with the right words, thoughts, emotions, whatever to make it so. I am completely shocked to read about Elle! I loved her blog, her recipes and her photographs. I've posted so many of her recipes...will try to do another next week. so sad. beautiful recipe tribute to elle! Beautiful post Dawn. 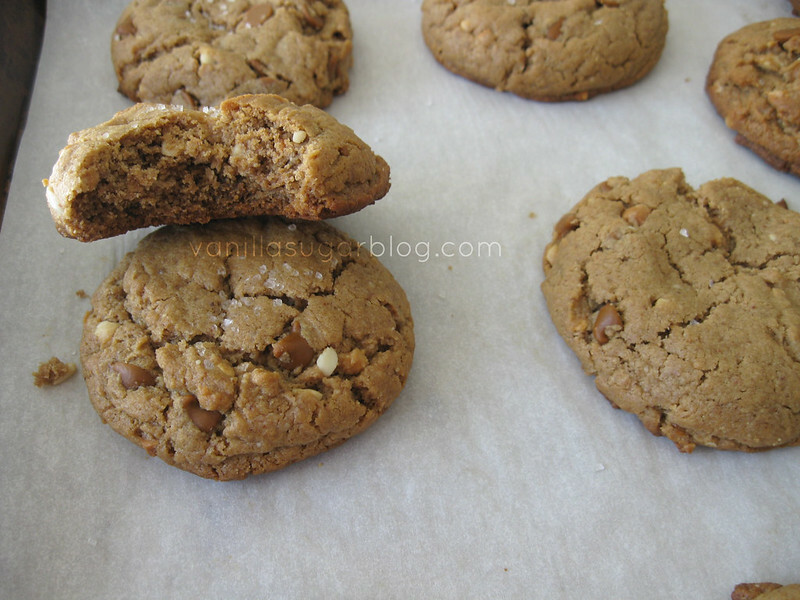 Love your take on her PB cookies! Gonna have to try them! Lovely tribute to Elle. And a great choice of a recipe -- these are wonderful. I love peanut butter in anything, but cookies? Maybe my favorite way to use it. Thanks. This is a lovely and beautifully-written post, Dawn. I'm sure Elle would tell us all to stop gushing about her, but how can you stop gushing about someone who meant so much? I knew Elle only tangentially, but I am so so so sorry for your loss. And for all of our loss's really. It's so sad. I imagine she is definitely smiling down on you from wherever she is and wishing she could have a bite of these cookies! 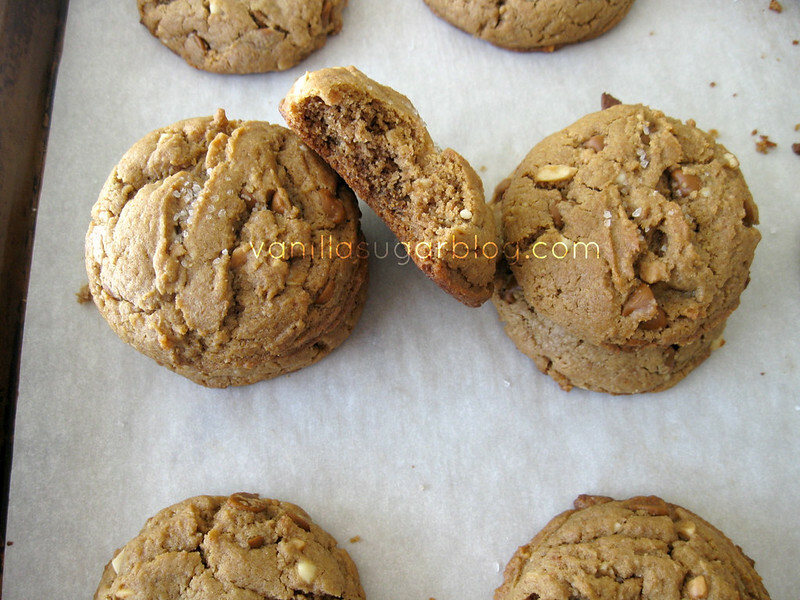 I almost chose to make these, too, but ended up making some delicious vegan oat cranberry pecan chocolate chip cookies. Definitely hard to write the post and say goodbye. Will always think of her when certain things come to mind. Take care, Dawn. These look like awesome cookies that will always remind you of your awesome friend. Lucky you are to have had a friend like that. these cookies are fabulous, dawn, and a lovely tribute to elle. thanks for bringing this terrible loss to my attention. Gorgeous words about Elle, such a terrible loss. 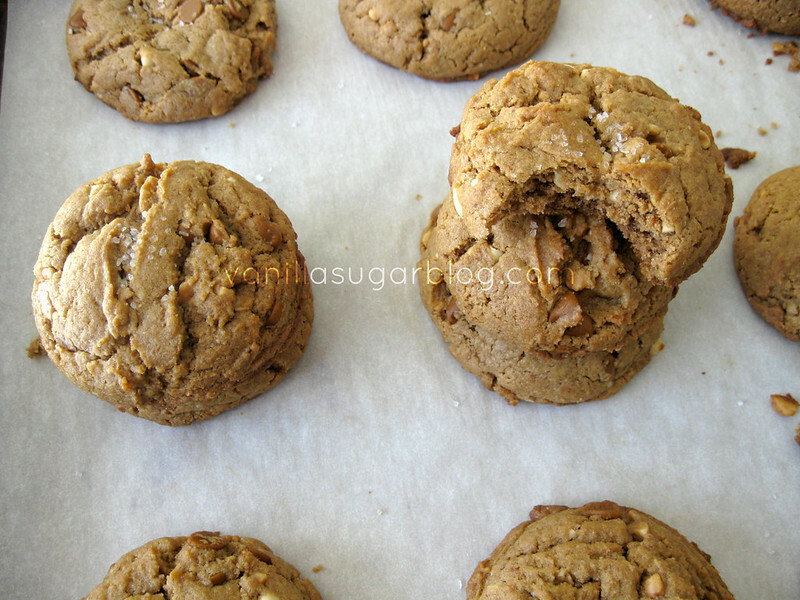 These cookies look absolutely delicious - especially for a PB lover like me!